San Jose’s Original Mexican Restaurant promises excellent food, great service with the best prices. Family owned & operated, come visit Central Florida’s beloved neighborhood Mexican eatery. Excellent drinks. Original Mexican cuisine. A Passion for Food. Gracious Hospitality. At San Jose’s, team members have a great sense of pride in everything they do. From the food that is served, to the gracious hospitality that is provided. On each visit, their happy to welcome you into they're “home.” Their passion ensures that you and your family will have a great experience each and every time. 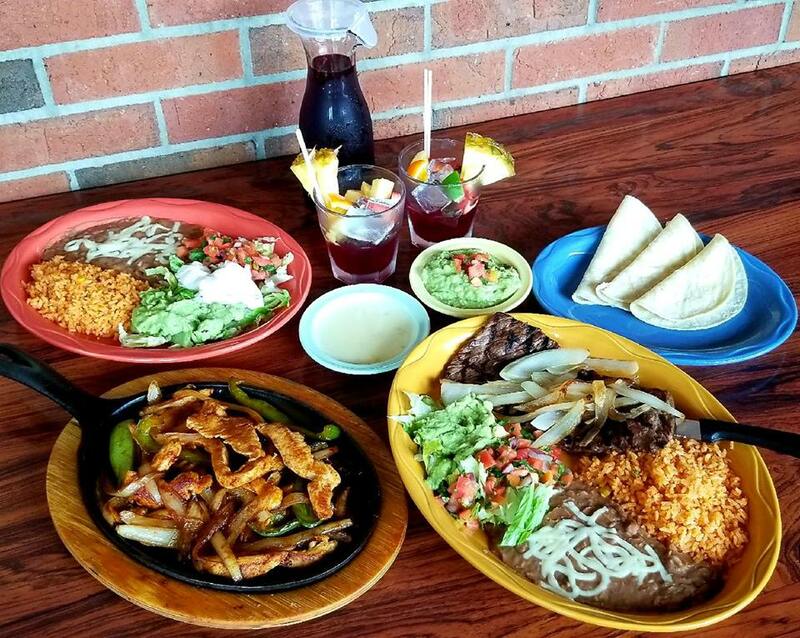 Visit us today and experience Authentic Mexican cuisine at it’s finest. A fresh avocado dip made with secret ingredients and topped with pico de gallo. By land, air or sea: Why not all three! Steak, chicken and shrimp fajitas sauteed with bell peppers and onions served on a sizzling skillet. Wrapped and deep fried, a 10 inch flour tortilla stuffed with ground beef or shredded chicken, cheese, a spread of refried beans and smothered in Cheese Dip. Served with Mexican rice and guaca side salad. Two grilled 8 inch burritos stuffed with diced steak, shredded cheese and onion. Topped with cilantro, served with salsa verde and refried beans. Three chicken or pork tamales served with sour cream and guaca side salad. A 10” burrito Stuffed with your choice of meat, Mexican rice, refried beans, lettuce, sour cream, guacamole, pico de gallo and smothered in Cheese Dip to top it all off. Two classic tacos, Mexican rice and refried beans. From the Pacific, these pork and pineapple soft corn tacos with cilantro and onions upon request. Serviced with refried beans, sour cream, guacamole and pico de gallo on the side. Raves & Reviews from Patrons Like You! Wonderful place to eat. Stopped here to quickly grab a bite and staff was very polite and pleasant. Came around 4 pm, wasn't too busy so the good was provided rapidly. Best top shelf margaritas! Chicken quesadilla are my favorite. My husband enjoys the enchilada San Diego with chicken. We drive across town to come to this place because it has the most authentic tasting Mexican food in Orlando. We've tried plenty of the items on the menu and it never had a bad experience. We love this place. Is it a Mexican Holiday, American Holiday or Both? A volcanico pile of poke or chicken with chorizo and pineapple bits smothered in cheese and green sauce, served with corn tortillas. You'll fall in love with this new mouthwatering dish! A Historical Meal that Invokes a lot of Emotion!